Tom Watson will attempt to move Labour on from a week of turmoil over article 50 by telling activists that Brexit creates the opportunity to tilt the economy away from the City, boost manufacturing and allow the public sector to “buy British” once again. Labour’s deputy leader will say it is time to reject the “sneering derision from much of Britain’s commentariat and chattering classes” and make the case for supporting British producers by buying more goods and services domestically. 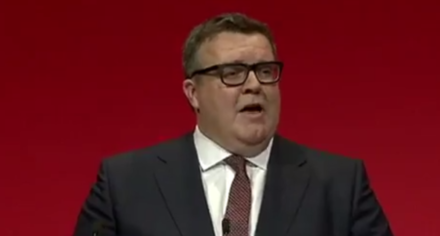 Watson – who has largely stayed out of the public Brexit bill tensions between Jeremy Corbyn and shadow ministers this week – will deliver an upbeat message when he appears at the Co-op Party’s economy conference in London tomorrow. He will also set out how he believes Britain should respond to Donald Trump’s repeated demands to put “America first”, particularly in trading relationships, which the US president is due to discuss with Theresa May this weekend. “If Trump says buys American, our rational response is Buy British. Yet to say ‘Buy British’ these days risks sneering derision from much of Britain’s commentariat and chattering classes, few of whom of been on a factory floor lately. When did you last hear Theresa May say it?,” Watson is expected to say. Watson, a former trade union official with a long history of speaking up for British manufacturing, will also issue a cautious appraisal of Trump’s impact on the US’ economic relationships. “The election of Donald Trump adds real uncertainty to global trading trading arrangements, against a backdrop of significantly increased economic nationalism,” he is due to say. “The basic assumptions that underpin current global policy, most importantly the assumption that free trade is good, and protectionism bad, are changing with Trump’s election, and with Brexit. “For the UK, it is imperative we keep an open mind about the Trump administration’s economic policy and ambitions. “Political and business leaders, and trade unions, need to ask themselves this: What if he does bring back the manufacturing jobs back to America? “What if the interests of the rustbelt workers, who had their lives turned upside down by cheap imports from China, are prioritised over the ideological beliefs of Davos habitués? “Conventional economic orthodoxy says that free trade benefits all countries, if not all workers in those countries. Yet is this really true? You can make a cogent case that the debt fueled growth of China has given Chinese corporations who receive forms of hidden state subsidies an unfair advantage in Western markets. Indeed Trump used the export of manufacturing jobs to China as a devastating political weapon.